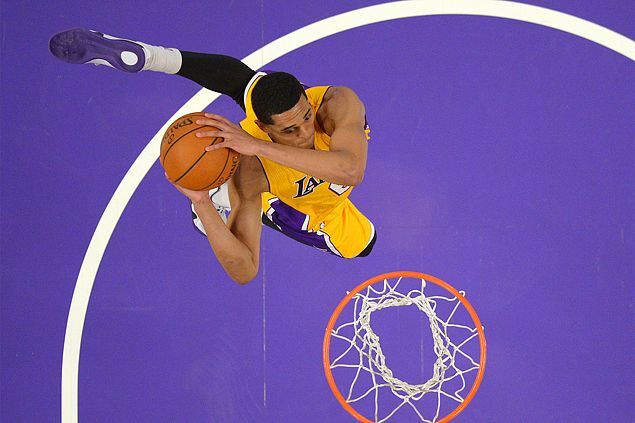 THE Samahang Basketbol ng Pilipinas (SBP) has confirmed that NBA player Jordan Clarkson was already a holder of a Philippine passport since age 12 as it expressed hope that the Fil-American guard can one day suit up for Gilas Pilipinas as a natural-born player. Reacting to a Spin.ph story that came out on Sunday, SBP executive director Sonny Barrios on Monday said the 6-5 guard of the Los Angeles Lakers has secured a Philippine passport before turning 16 - a major requirement for dual citizens wishing to play in Fiba-sanctioned tournaments. The piece of news comes as a big boost for the latest incarnation of Gilas, which has been having difficulty getting commitments from players who national coach Tab Baldwin had wanted for the team bound for the Fiba Asia championship next month in Changsha, China. Barrios, however, was quick to temper expectations, saying Clarkson's eligibility to suit up for his mother's homeland needs to 'go through the process' and still has a long way to go. Barrios said Clarkson has expressed a 'strong desire' to play for the Philippine national team, the reason his old passport has been submitted to Fiba for eligibility purposes. Some of the supporting documents required by Fiba will be personally submitted by Clarkson to the SBP. Aside from clearing Fiba requirements, Clarkson's possible stint with the national team also needs clearance not only from the Lakers organization but also from the NBA - the reason SBP has been patiently going through the process and following protocol, Barrios added. Recently signed as an endorser of Smart, the shifty guard out of Missouri is also set to join the national team in the trip to the Jones Cup but is unlikely to play. He is also set to visit his mother's relatives in their home province. On the other hand, Gilas arrived on Monday night from Estonia, where it went winless in a four-team pocket tournament that also featured Netherlands, Iceland and the host team.